The Roman Anglican: Building love: 50 years of Anglican Centre in Rome. Building love: 50 years of Anglican Centre in Rome. 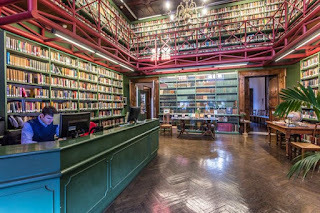 Rome is the home of a unique place: the Anglican Centre, acting as a sort of embassy of the Anglican Communion, it has a key role and great instruments in the modern dialogue with the Roman Catholic Church. No other Church shares such an exclusive institution and privileged position, making it one of the greatest successes, examples and fruits of modern ecumenism. Today - its role goes far beyond this original task. 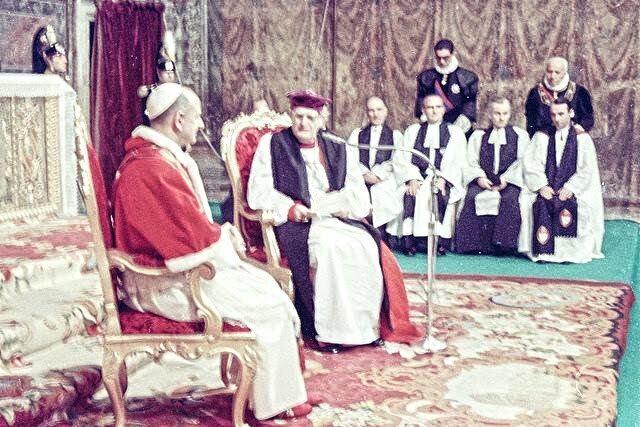 Exactly fifty years ago, during the hopeful years of the Second Vatican Council and for the first time since the Reformation an Archbishop of Canterbury, Michael Ramsey, made a historic and touching visit to Rome, in which Pope Pius VI symbolically passed his ring on to the English primate. 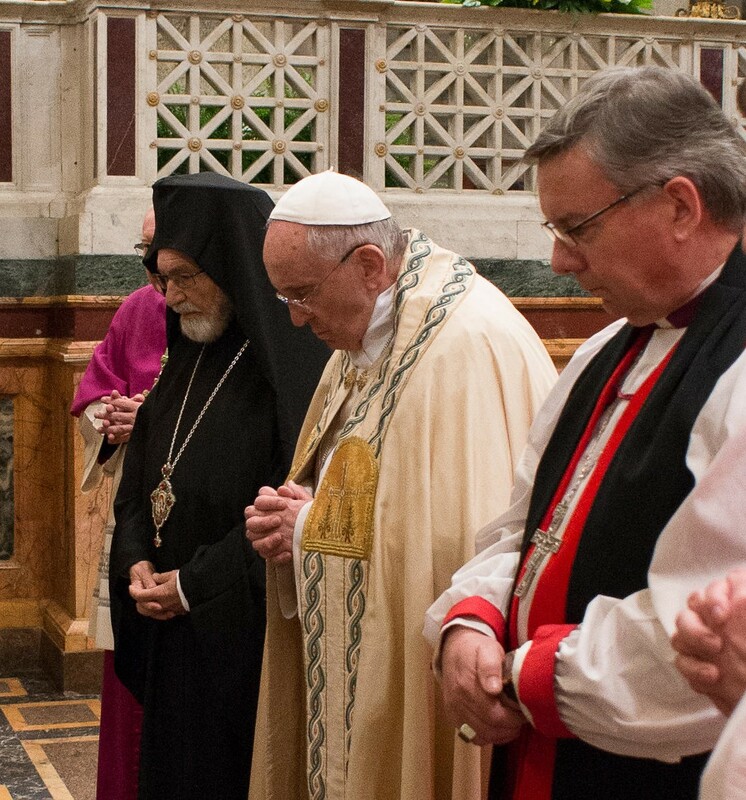 This warm meeting led to a series of consequences: the birth of an Anglican-Roman Catholic ecumenical commission, the Pontifical Council for Promoting Christian Unity and the very Anglican Centre. 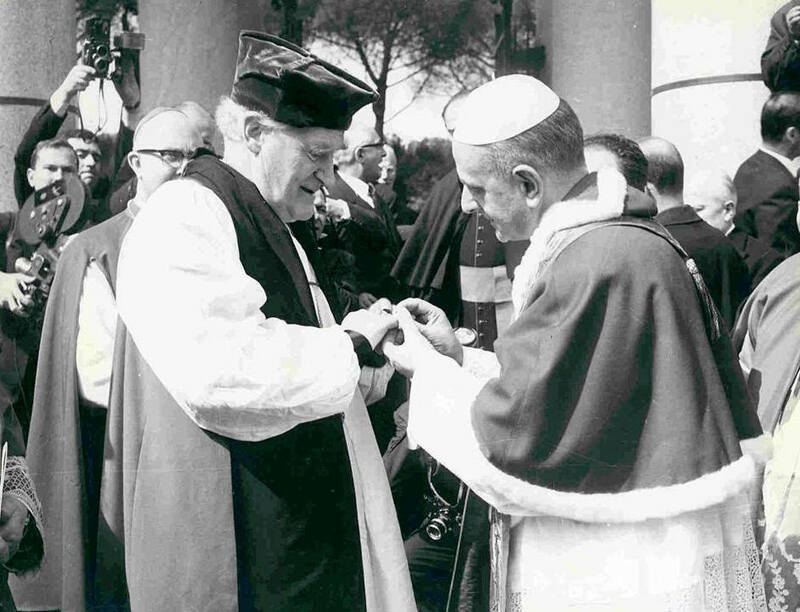 Although, hopes were high during the 1960s, we must not underestimate the work and achievements of these institutions: it is thank to them that we can pray together, our sisters and brothers can be married by priests belonging to either churches, we share a baptism, similar views on the Eucharist, a joint document on the Blessed Virgin Mary, Popes and Archbishops have regularly met ever since and much more! Since its very early days the Anglican Centre has been based in the charming Palazzo Doria-Pamphilj in Rome, not far from the Pantheon, thanks to the generosity of this renowned princely family. 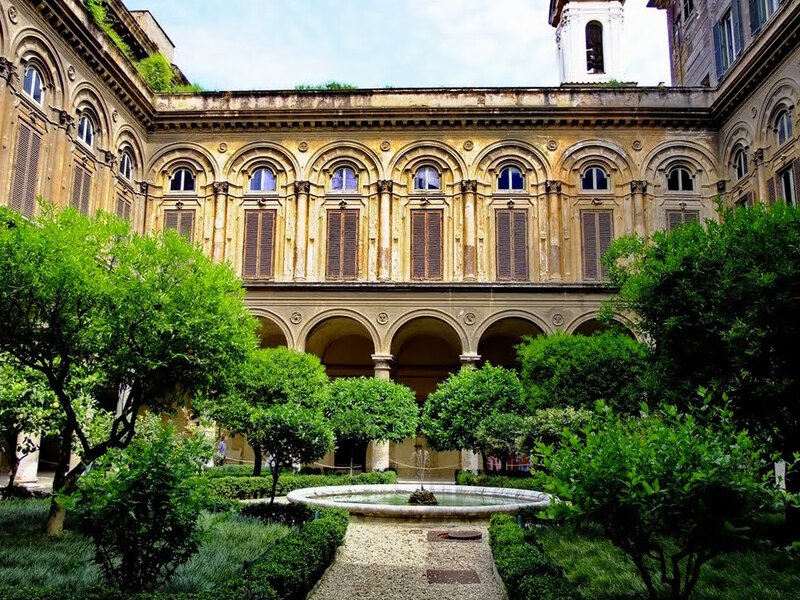 The Palazzo hosts one of the world's greatest private art galleries with astonishing works by Old Masters and fairy Baroque galleries with the Anglican Centre being another two floors up. The Anglican Centre is not "only" an ecumenical centre but much more and it especially takes its pride in hospitality, first of all, by being blessed with the presence of the Chapel of Saint Augustine of Canterbury since its very beginning: a holy space of prayer inspired by those hopeful years, where an Anglican Eucharist is regularly held on Tuesdays at 12:45pm and where people of all faiths can gather together to worship the one Lord - the service is usually followed by what Anglicans can do better: fellowship, in the shape of a lovely meal where one can actually get to meet many interesting people. Through the years the chapel has also gained, thanks to the presence of two Anglican churches in Rome, a rather regular congregation as well. 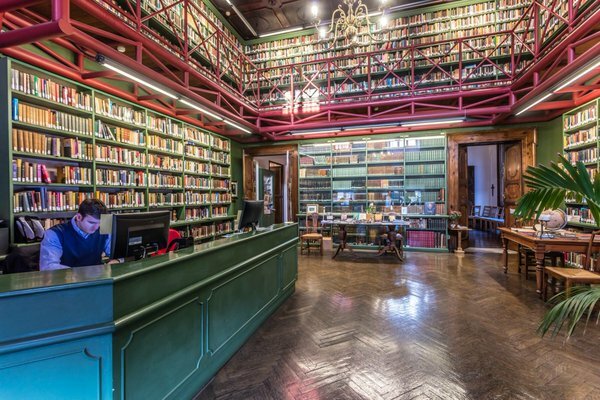 The Centre is also widely renowned for having the largest Anglican Library in continental Europe, with more than 15,000 volumes, it has a focus in theology, ecclesiology, history and of course ecumenism. It is often an essential tool to the Anglican scholar or student but sometimes also to the Roman Catholic one - making it a special way of exchanging the favour, as Archbishop Ramsey said: the Anglican student is often a debtor to writers within the Roman Catholic Church. This Centre is an attempt to repay that debt by making available the resources of Anglican learning to any who will come and enjoy them. The Library is also the symbol of the learning and education centre that this institution also is. Several courses are offered each year and are open to everyone, they can be lectures, sometimes followed by trips to significant places in and outside Rome. They are committed to all, from the newly curious to students and scholars of history, theology, etc. This very side of the Centre has sometimes been essential in developing strong relationships and bringing fruits to the Anglican-Roman Catholic dialogue. These courses can be also part of pilgrimages, the Centre welcomes nearly a thousand people each year from all backgrounds, churches but also bishops and other prelates. The Anglican Centre of the 21st century is doing incredibly well, as if the differences between the two Churches are almost non-existent. This is because good Christians know what is the focus: the focus is of course unity and the love we share in Jesus Christ. In recent years, not only the Centre, but the entire Communion has been blessed by a great symbiosis between the two churches: first we had two great theologians and scholars in the figures of Archbishop Rowan and Pope Benedict, followed by two spiritual and charismatic ones in the figures of Archbishop Justin and Pope Francis - not only this but they were helped by two directors very similar to them: Canon David Richardson and Archbishop David Moxon. 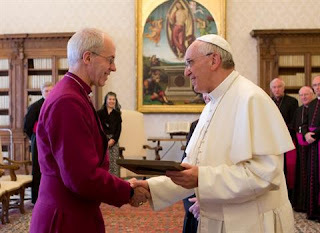 Both have led the two churches in sharing many gifts: first the great artistic patrimonies of both traditions - I still vividly remember the unforgettable time when the Choir of Westmister Abbey came to Rome, the great musical tradition still continues and the Centre still works to share this amazing English traditions with our Roman sisters and brothers. Under Canon Richardson the Centre also started a strong relationship with the local charity of Sant'Egidio to help the disadvantaged. Archbishop Moxon led the dialogue to another level, our two Churches now share an incredible goal: that to stop human trafficking and slavery. 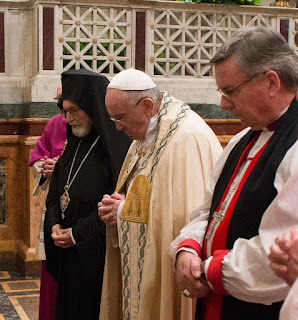 I myself can testify just how I saw the relationship between our two Churches grow during recent years, it has been a blessing to see our Bishops and priests share so many important moments with His Holiness, more and more often. Just good media coverage? Don't think so! To celebrate fifty years of growth, love, hard work and great achievements, the Anglican Centre will observe a couple of days blessed by great events and the visit of the Archbishop of Canterbury himself. There will be a colloquium given by the Anglican-Roman Catholic commission in which bishops and other prelates will present and describe to the public how they worked together, there will be a great service at St. Gregory's Basilica on the Celio, previously the place of so many ecumenical events between Popes and Archbishops - it holds a special place in the hearts of English Christians, here Gregory the Great sent the first Archbishop of Canterbury to England. The Pope himself will preside. There will also be many more treats, but the real "deal" will be the Gala dinner on the evening of October 5th, hosted by the Archbishop(s) in the beautiful gallery of the Doria-Pamphilj palace, under kind permission of Prince Jonathan and Princess Gesine. I am looking forward to that! This celebration, not only has the goal to enlarge the Anglican Centre family, but also to raise donations to support this incredible mission. I think that every Christian has the duty to take some responsibility and donate, to support the Centre, this mission may seem distant but it truly helps all people, from the less-fortunate, to the modern slaves, to young Anglicans or Catholics who want to marry each other. Help Christians to find more and more common goals. Help to take this mission into the future!